There was an awful lot going on this time last year. We had a huge amount of information to process and alongside that, there was also a great deal of research that we were doing, looking into possible alternative treatments. Essentially our heads were full of bad options from which to choose and yet our hearts were full of hope. 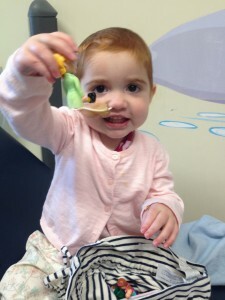 To compound matters, Margot had picked up the EBV virus. Given that she was immune suppressed at the time (and would remain so until September), any virus or infection was potentially life threatening, so we were keen to rid her of this latest bug. Throughout, Margot coped remarkably well with the various treatments that were thrown at her, although as you’ll read below, there were times when she reacted badly. 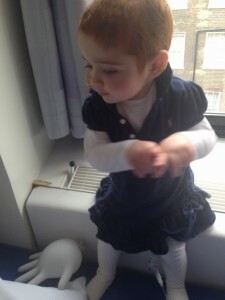 It was very difficult for her & heartbreaking to witness – Margot didn’t know any different and was still too young to digest any proper explanation as to why she needed to be hooked up to a line, rather than being outdoors playing with her friends or cousins. And it was terrible for the rest of us to have to watch Margot get sick, in order for her to get better. As I say, at the time that was still very much our hope. However, circumstances were changing for the worse and we were not in a good place. This time last year, Margot was four months post transplant, so she had gone beyond the 100 day post-transplant milestone, which is really little more than a marker of time. I continue to share these excerpts from the journal that I kept last year to help give some insight into the patients journey. 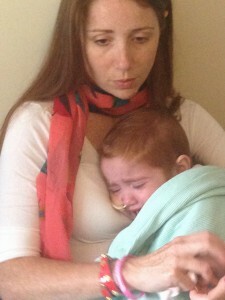 We arrive at GOSH (Great Ormond Street Hospital) early – our appointment with Dr Ancliff is scheduled for 11:00. At 11:16 we sit down and start talking. Oddly, the BBC have asked to film our session and so we have a camera and mic in the same room.un through the options available to us with Dr Ancliff, none of which are particularly promising. It’s all really surreal. We run through the options available to us with Dr Ancliff, none of which are particularly promising. It’s all really surreal. The bottom line is that we have a chance that GVHD (Graft v Host Disease) will occur and that hopefully there will be GVL (Graft v Leukaemia) as a result – the hope is that this will dispatch the ALL (Acute Lymphoblastic Leukaemia) clone and potentially any AML (Acute Myeloid Leukaemia) clone as well. But they’re not particularly hopeful that GVL will do the trick ! So… The plan is that we wait all next week for GVHD to occur of it’s own volition first. If there is no GVHD, early the week after we will inject Interferon, which gees up the immune system. Small dose week 1, bigger dose week 2, then top whack dose week 3. Beyond that, Dr Ancliff says that anything we try with a curative approach is essentially experimental. Professor Amrolia arrives and echoes Dr Ancliff; he says he is very concerned that GVL in itself is not going to be sufficient. So what do we do if GVL doesn’t succeed ? That’s the first time I have heard the phrase “symptom care” but immediately I understand it to be a new way of saying palliative care. More talk about quality of life ensues. “We will be lucky to get away with this” Amrolia says matter of factly. He concedes that some leukaemia’s are more susceptible to GVL – it could still be sufficient ! Of the experimental approaches, he says CAR T in Philadelphia, USA is probably the best one out there. Amrolia will try to press CHOP (Childrens Hospital Of Philadelphia) to consider taking Margot’s case. But again, he’s not hopeful. 1. 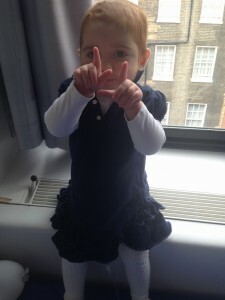 She apparently has the perfect amount of GVHD – maybe it could be a tiny bit more severe, but it’s good nevertheless ! 2. No evidence of EBV virus presenting. 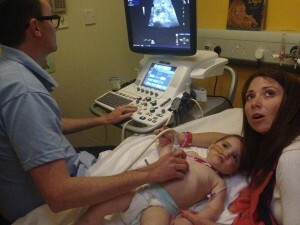 Chest X-ray and ultrasound scan of abdomen confirmed as being fine. Liver is slightly bigger than before. 13:20 retuximab infusion starts (this is to combat any remnant EBV virus. 14:35 Margot shivering. Retuximab stopped. Blue feet and hands. Oxygen mask hooked up but Margot isn’t happy with it. 14:49 piriton & hydrocortisone steroids administered to try and calm her down. Also more fluids being given to help the flow. 120ml over 5 minutes. 14:57 Depending on how severe the doctors feel this reaction is, the nurse warns us that we may be admitted for observation. 14:59 Decision made to stop the retuximab “for a reaction this large, it isn’t safe to continue”. I ask how we are to treat the EBV virus given the adverse reaction (only 11ml of the 53ml deployed). 15:08 BMT drs discussing what to do & whether we are needing to stay overnight. 15:18 Margot’s temperature spiked at 38.4C but is now back down to 37.6C. 15:36 Temperature back up to 37.9C. 38C is the danger zone where we begin to get concerned. 16:10 we are waiting for the BMT (Bone Marrow Transplant) team confirmation of the latest suggestion: that we go home and return tomorrow for the infusion to take place slowly over a period of hours. 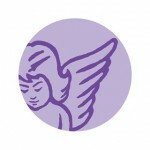 But first, we need a bed – which is what we are awaiting confirmation of right now. Also, Margot’s temperature needs rechecking before we can leave (because it spiked to over 38C). This is standard protocol. Margot is exhausted. We have had a big day and I’m at sixes and sevens. I want us to leave here and go home. I’ve had enough. Let’s have a fresh run at this tomorrow. 16:19 BMT team confirm we should try again tomorrow. Hopefully confirmation of bed availability will follow but we are now on the way out of here for today. 16:46 as we are leaving, we are stopped by one of the Drs who says that they want to take more blood, as a precautionary measure, because Margot’s temperature spiked. 08:35 Margot & I arrive at Fox ward. Vicki is joining us later (she has a drs appointment of her own this morning). The nurse on duty is expecting us and has been briefed on our Rituximab experience yesterday. Apparently they’re short staffed today and she apologises: things are likely to take longer than expected. 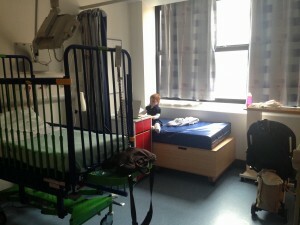 Fox ward is adjoining Robin ward where we were based for Margot’s bone marrow transplant. It’s familiar but different. I wish we weren’t here. 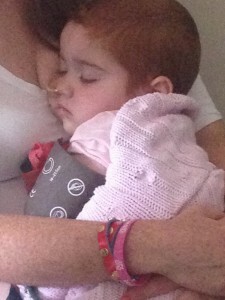 Yesterday Margot was prescribed 53ml of Retuximab – this is required to combat the EBV virus. She only received 11ml yesterday before having her adverse reaction so as I understand it, we have 42ml to administer today. The problem arose yesterday after the third increase in dose; they started off at a low rate of infusion, stepped up after 30 mins and then up again after 30 mins. We had the reaction after the third increase, roughly 75 mins after the infusion began. As yet, I’m unclear as to the rate of flow but am bracing myself for a 5 or 6 hour session. 2. If no GVHD within a couple of weeks we will add an interferon (to stir up the immune system & cause GVHD & GVL). Hopefully that will do the trick. Thereafter, we are essentially looking at experimental treatments or symptom care. 4. Blinatumomad – currently in trials (they may allow “compassionate use” ie so we are not part of a trial) but this requires 25% of disease in the bone marrow. 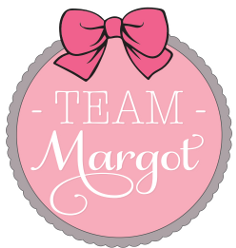 Margot currently at approx 1%. Also would mean that we would need to be in Sheffield to receive the treatment. A. Second BMT – issue is that it’s very close to the one that has just happened. Another full transplant is “scary” – why? Because the toxicity is awful. It’s cumulative and therefore very risky. B. Cord is a potential – more of a mismatch likely to be a good idea – now we want GVL !! 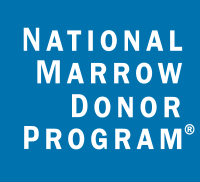 Amrolia’s view is that a second bone marrow transplant would take up a lot of time and potentially not achieve anything. Alternatively we can give good quality of life with minimal intervention. 10:20 Nurse Camilla comes in to administer pre meds: hydrocortisone (25mg), piriton (2.5mg) and IV paracetamol (170mg) infused over 15 minutes. She says we will let that work for an hour before we put up the Retuximab. Apparently they want it to keep the flow if Retuximab to 25ml per hours, but will first dilute the meds with saline to 210ml. “So that’s an 8 + hour infusion ?” I ask. They will have extra hydrocortisone and adrenalin at the ready in case she has another adverse reaction. 10:55 Nurse Camilla confirms: yesterday Margot received the Retuximab in diluted at a low rate of flow: 6.5ml / hour initially, rising up to 19ml / hour (which is when the reaction occurred). For safety sake, they’re both diluting the meds and keeping the rate down – hence the 8 hour stretch. 12:04 After pre-meds and a series of flushes, the Retuximab finally begins. Pre-meds will be repeated at 16:30 (ie 6 hours after first receiving them). 14:10 I leave Vicki at GOSH with Margot – school pickup is at 3:30 and Oscar has five a side football with the Roaring Lions. 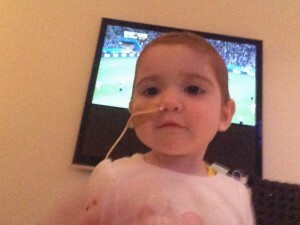 17:10 Vicki calls: Margot has an amazing appetite for hospital food ! 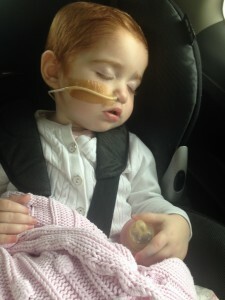 All going well with the infusion; pre-meds duly repeated at 16:30 – Margot is right as rain. 23:15 Infusion & monitoring finally complete ! Vicki, Margot & Izabela leave GOSH. 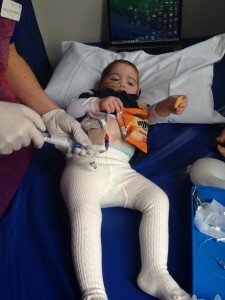 We really hope the Retuximab does the job & wipes out the EBV virus in one dose. Come on Retuximab !